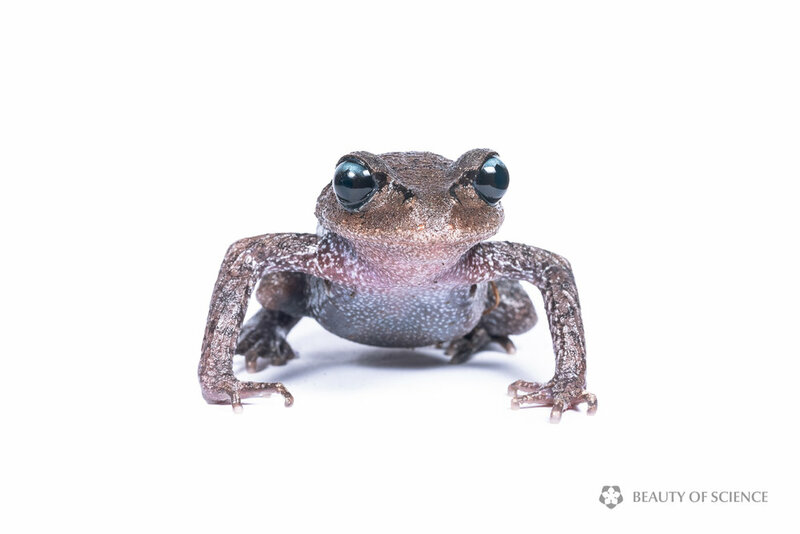 Emei moustache toad (Leptobrachium boringii) is a toad species in the family Megophryidae. It is an endemic species to China found in Sichuan, Guizhou, Hunan, and Hubei provinces. "Emei" in its common name refers to its type locality, Mount Emei in Sichuan province. It has characteristic large dark eyes with the upper half of the iris in light gray color. 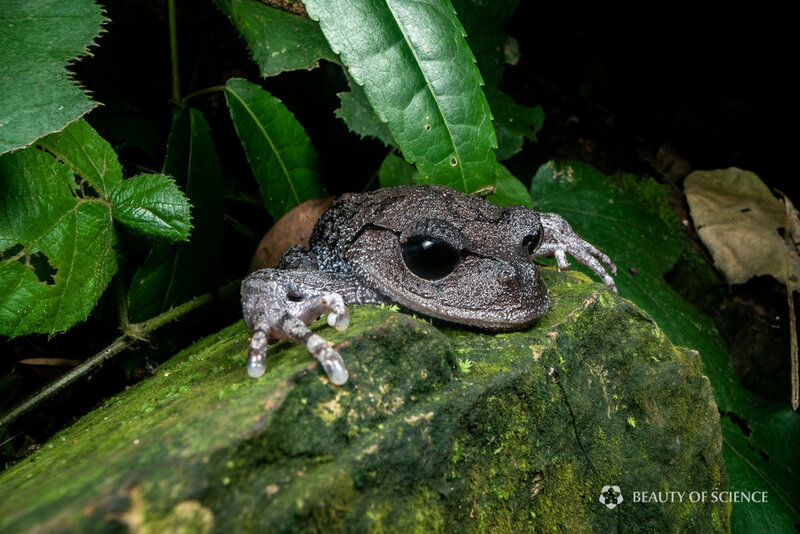 The snout-vent length of male toads is 70–89 mm, and that of female toads is 59–76 mm. 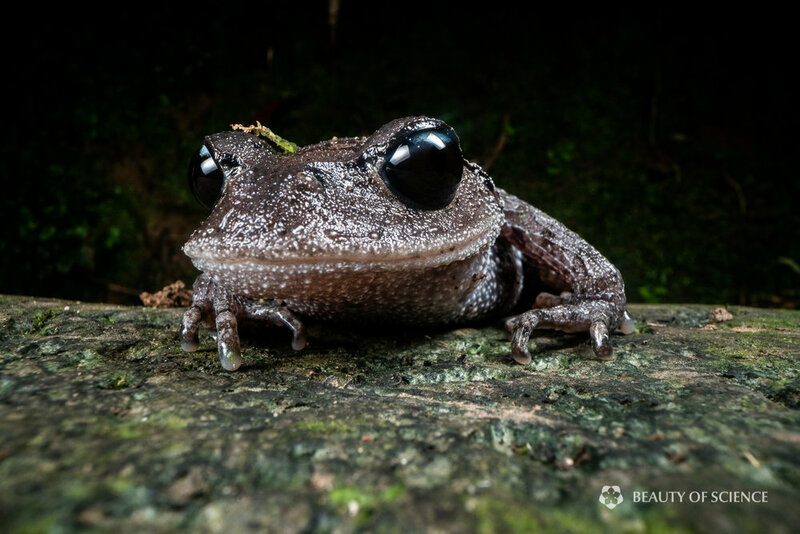 Emei mustache toads spend most of their time in forests. They can jump but more often they crawl. When crawling, as showing in the video below, the toad uses its limbs to prop itself up high enough to lift its abdomen off the ground. 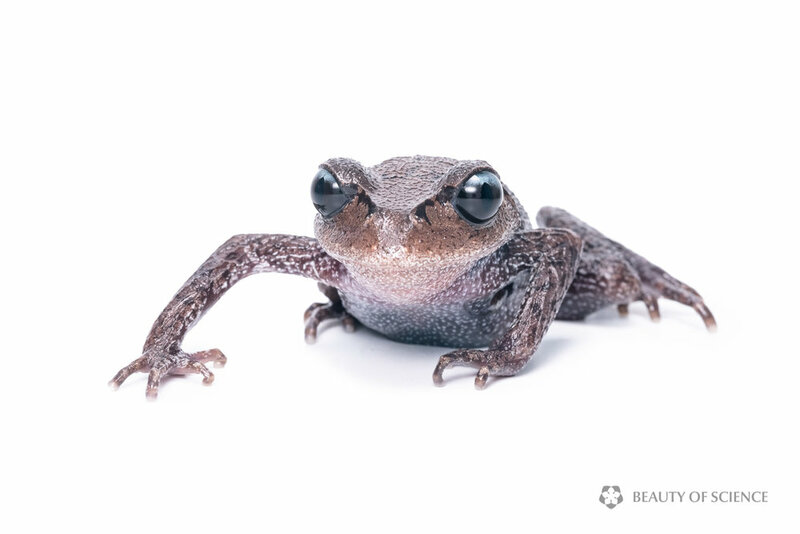 Usually, the toad blinks its eyes at the beginning of each movement. Only fingertips and the rear parts of the palms touch the ground during crawling. 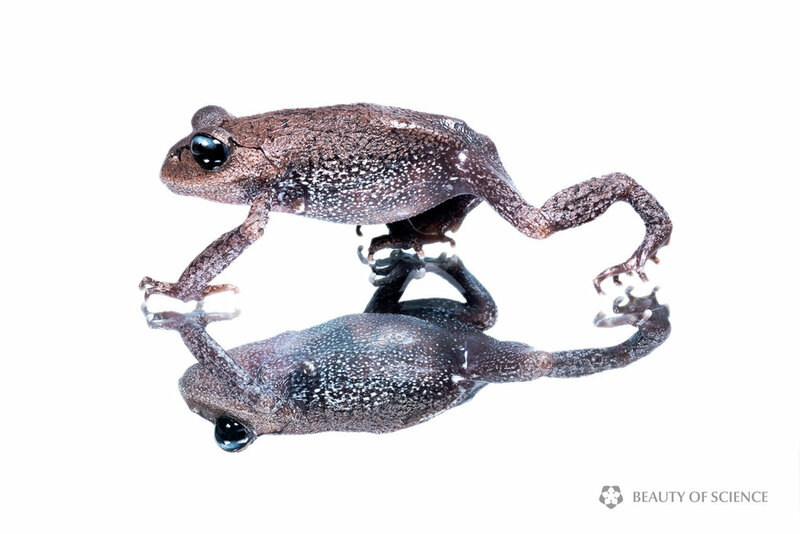 In February and March, Emei moustache toads will leave forests and head to streams to breed. 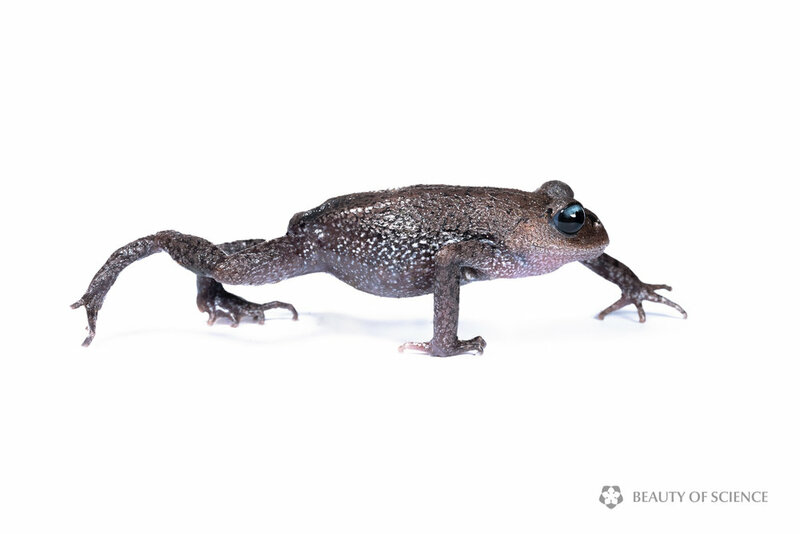 At this time, male toads will grow sharp spines on their upper lips and use them to combat other males in order to guard their nest sites. We will update this page once we have more exciting photos and videos captured during their mating season. Dec 01, 2018: This page was launched.